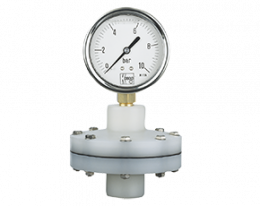 Pressure Gauges with Diaphragm for PCB Manufacture MAN-..
Fluids and gases behave differently depending on the pressure and can react differently. 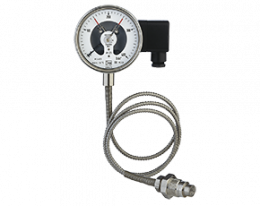 Accordingly, the testing of the pressure by means of a pressure gauge is a widespread standard in many areas of industry, including petrochemical, chemical and food industry. 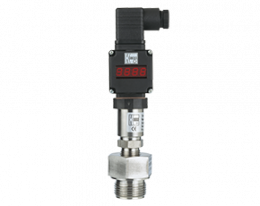 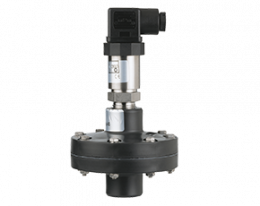 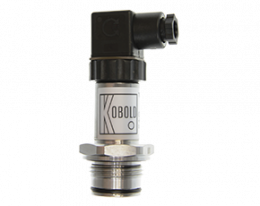 Kobold pressure switches and pressure gauges offer a wide range of different solutions for various production environments. 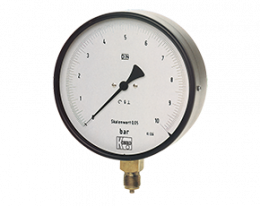 Beginning with simple manometers with highest precision, to flexible differential pressure gauges, which can be installed both permanently and as hand-held measuring instruments.. 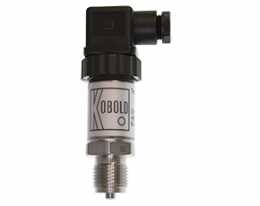 In order to be able to optimally adapt to every production process, Kobold's pressure switches and pressure gauges operate with different methods for measurement of pressure and its display. 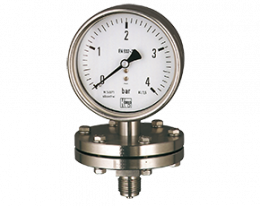 Thus, any method of pressure measurement can be optimally adapted to the prevailing conditions. 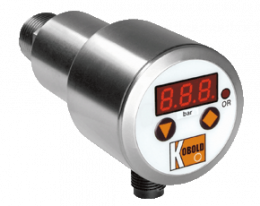 Whether relative pressure, absolute pressure or differential pressure is to be determined, does not matter: the high-quality and high-performance pressure gauges from Kobold offer the optimum solution for the industry and are used worldwide. 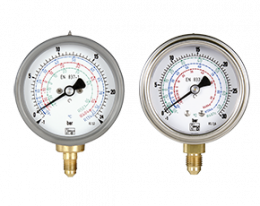 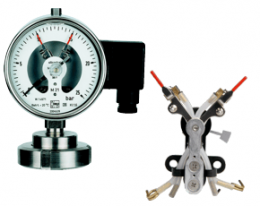 Basically, the pressure gauges are divided into different categories. 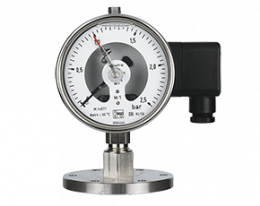 Probably the most important subdivision factor is the pressure range, which is covered by the manometers. 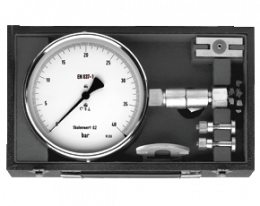 Low-pressure, high-pressure and vacuum measuring instruments are suitable for a wide range of applications and measurement materials. 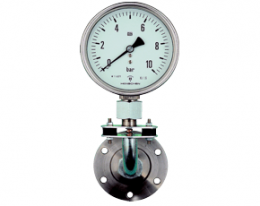 The measuring method of pressure also plays an important role. 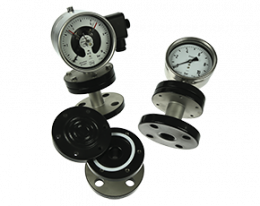 Electrical, mechanical and mechatronic pressure gauges are distinguished. 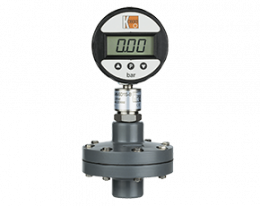 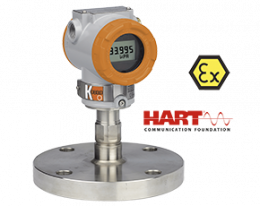 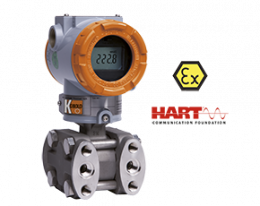 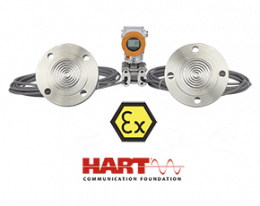 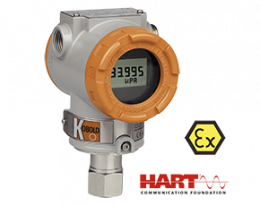 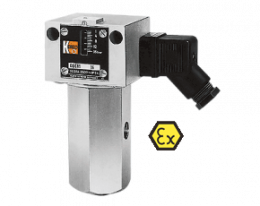 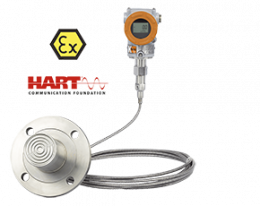 Thus, the pressure measurement can be optimally adapted to every situation and every requirement. 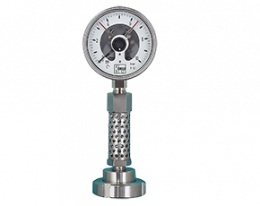 Depending on gas, air pressure, hydraulic pressure or the differential pressure of different media: Every fabric and material has different requirements for the pressure measuring devices used. 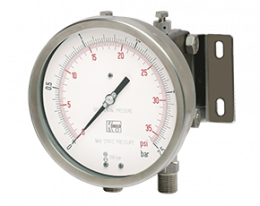 Especially in the field of modern measurement technology, plate spring, tube spring and capillary pressure gauges play an important role. 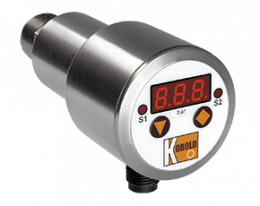 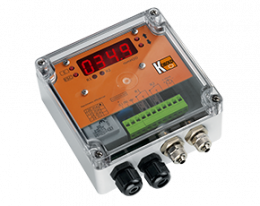 Kobold's high-quality pressure gauges can be used for both direct and automated pressure monitoring and offer a wide range of applications. 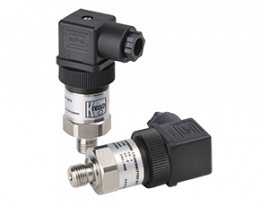 Thanks to suitable differential pressure transducers and pressure transmitters, the measured values can be transmitted to the most varied production and monitoring systems, using a standardized output signal and thus can be monitored centrally. 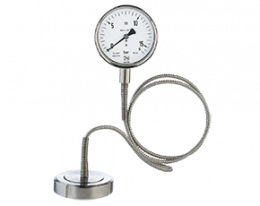 In addition, pressure measurement devices with a clearly visible and clear measuring scale are still very popular, particularly in the direct working area. 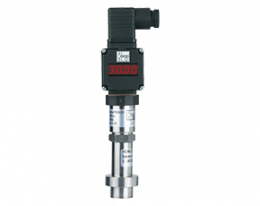 For example, the pressure can be used for level measurement in many areas, which makes the use of corresponding level measuring devices unnecessary. 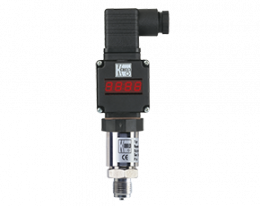 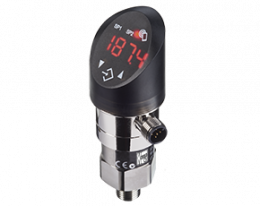 Due to the standardized connection possibilities, the pressure gauges and differential pressure devices can be easily integrated into a wide range of production environments and are persuading by their long service life and high display quality. 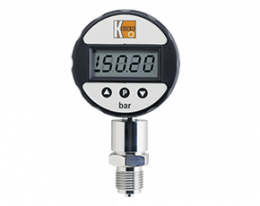 Thanks to various analog and digital displays and adjustment or calibration of all pressure gauges, display errors or measurement errors can be minimized. 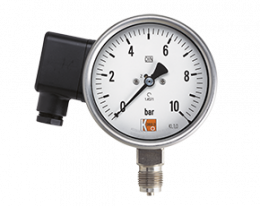 This makes it possible to noticeably improve the working safety and the working comfort by using high-quality pressure gauges. 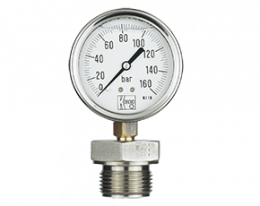 In closed systems, pressure can be a huge risk factor, which must be minimized as much as possible. 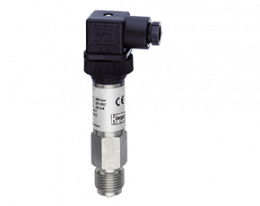 Pressure switches are a simple and effective way to avoid this danger. 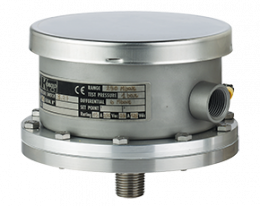 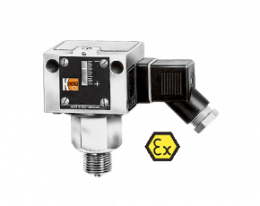 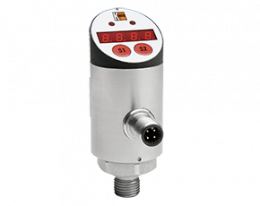 The pressure switches operate according to different measuring principles and can thus easily be adapted to the medium and the required pressure range. 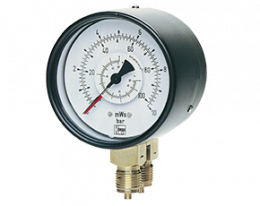 If a previously set pressure level is reached, an action can be triggered by the pressure switch. This can be either a N/O or a N/C contact, or a current output signal, which is passed on by a pressure transducer. 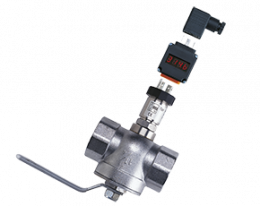 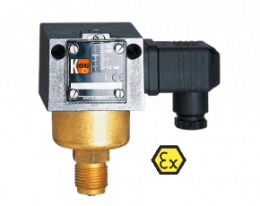 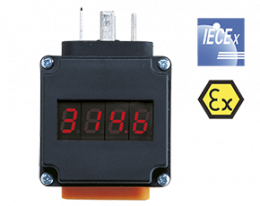 This means that various pressure switches can be easily integrated into different systems and adapted to the differentiated requirements. 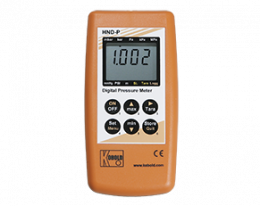 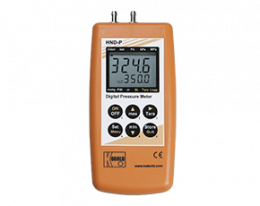 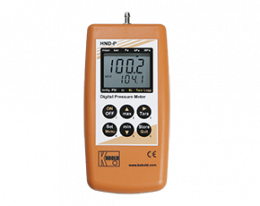 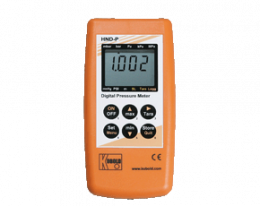 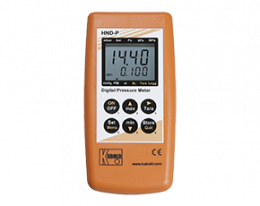 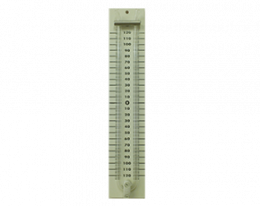 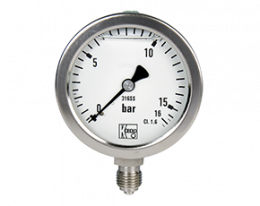 Hand-held pressure gauges are also widely used and are used in many branches of industry. 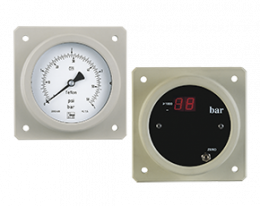 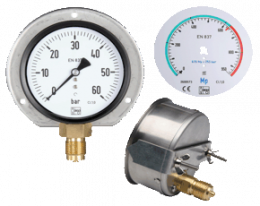 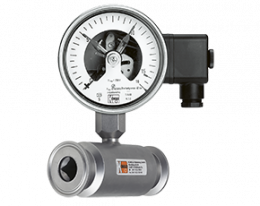 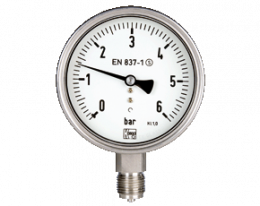 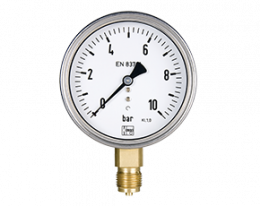 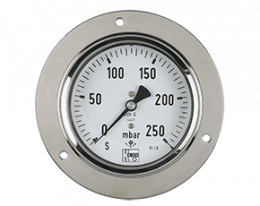 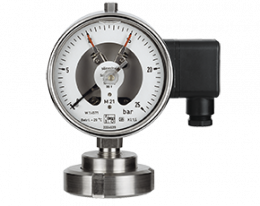 Pressure gauges must be able to function optimally and to accurately display the pressure in mbar, especially when checking and maintaining particular work areas. 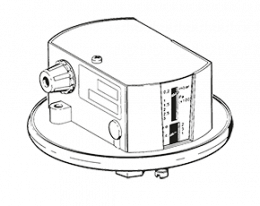 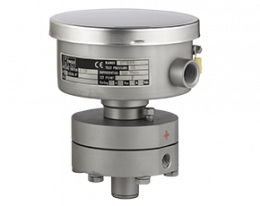 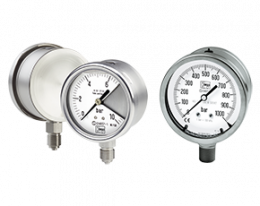 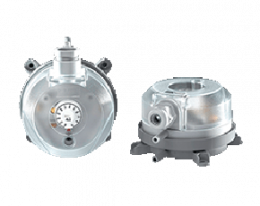 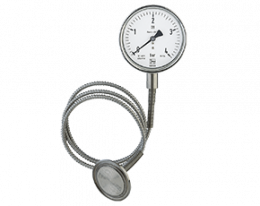 The use of mobile differential pressure gauges for pressure monitoring at transitions and diaphragms is extremely common and is standard in many areas. 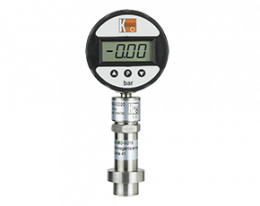 Kobold's measuring instruments are distinguished not only by their high accuracy, but above all by their easy handling and their clear display of all relevant values. 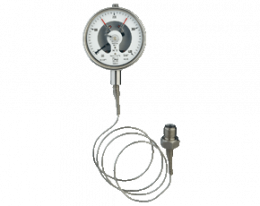 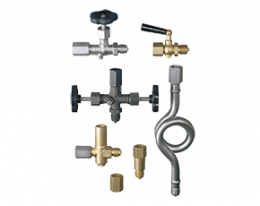 The mobile pressure gauges can either be equipped with their own probe or combined with fixed probes.